The Italians are taking over Long Lane restaurants and wine bars. Indeed if we include West Smithfield there are now no less than five Italian eating and drinking establishments within a few hundred metres of each other on the south side of the market. Carluccio’s is long established and in recent years we have seen Il Boteglio spring up in Long lane, followed by Apulia on the same street, and the Vino & Vino Enoteca close to Carluccio’s in West Smithfield. 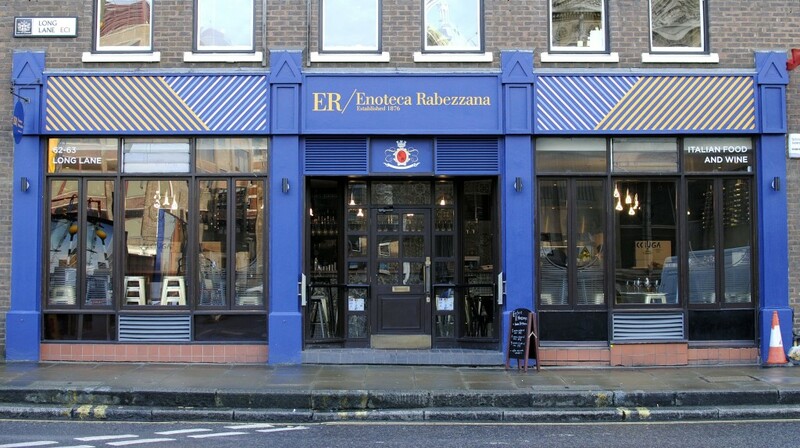 And now there is the new Enoteca type wine/bar restaurant, Rabezzana, which opened in Long Lane in December – and then on the other side of the market a couple more on Cowcross Street with Polpo and the long established Attilios. According to Wikipedia, an Enoteca is traditionally a wine shop, often connected to a small local wine producer, which allows visitors to taste the wines at a reasonable price and then buy them either directly, or from the producer. Increasingly they serve Italian tapas type food alongside this and in London this has tended to be taken a stage further with perhaps more substantial dishes available so they become a real dining out option too. Rabezzana is just such an establishment. The Rabezzana family has been producing wines in the Monferrato area of Italy (especially Barbera and Grignolino DOCG and grown with organic methods) since 1976. The new restaurant/wine bar (enoteca) has been opened by the team which launched the highly rated Acciuga Italian restaurant in Kensington, so has carried through some of Acciuga chef patron Guglielmo Arnulfo’s signature dishes, sharing platters and some new special tapas type dishes developed by him. We were there on a Tuesday evening and Rabezzana was very full and buzzing, largely because of a large party of Italian university students and lecturers filling one end of the enoteca. There was little space available at the normal tables – only at small high tables with stools which are perhaps fine if you only want to have a few glasses of wine and sample the small plate meals (which weren’t actually that small!). However they did manage to find us a space at one of the normal restaurant tables. We had a very pleasant glass of prosecco while we were checking out the menu – which offered a reasonable selection of small dishes, main courses, desserts and sharing platters. 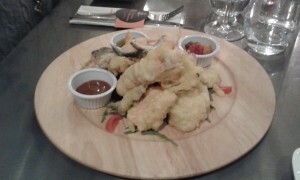 We started with a sharing platter of fritto misto di mare – a deep fried mostly battered melange of white fish (cod), salmon, squid, prawns and anchovies – which was very good indeed (£18). 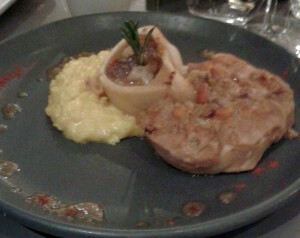 I’d have happily settled for another portion of the same as a main course too! Many of the mains were pasta dishes and I’m not a great pasta fan – which makes reviewing an Italian restaurant a little difficult. My colleague though does like pasta but after the seafood platter we both went for one or other of the small dishes as our main course. I chose osso buco (£8) which was a very reasonable sized and tender piece of veal shank served with bone marrow and a small risotto, while she chose the pacchero alla carbonara (£6) – cooked as the Italians would just with a sauce made up from egg and parmesan cheese and presumably with a little garlic, but no cream. We ordered a green salad to go with our mains. This was small and simple and we were provided with some excellent extra virgin olive oil and balsamic vinegar to dress it as required. The small plates items came in at between £ 3 and £8, while mains were priced from £10 to £20 . Sharing platters £10-15. Side dishes £3-4 – bread is charged for. Desserts seemed a little pricey at either £7 or £8, but the dolce amore we shared between us was delicious. Described as an alcoholic chocolate tiramisu, it was perhaps like an alcoholic fluffy chocolate mousse – great for a chocaholic. And as to the wines – a significant part of the restaurant décor is provided by racked wines along the walls. 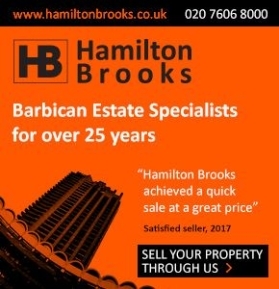 Rabezzana says there are almost 150 wines on offer – red and white fine wines, sparkling wines, champagne – all available for tasting by the glass and available to be bought by the bottle. Bottle prices range from around £17 up – small glasses (125ml from £3). All in all Rabezzana is a welcomed gastronomic addition to the Barbican/Clerkenwell area – welcomed except perhaps by the other Italian restaurants in the vicinity! Tasty food, an enormous selection of wines available by the glass, good ambience, all serve to make it a venue for a pleasant lunchtime (when a special ‘business lunch’ set menu is available – £10 for one course, £15 for two and £20 for 3 to include a glass of wine and coffee), or evening out. Not too pricey if one keeps to lower cost wines.